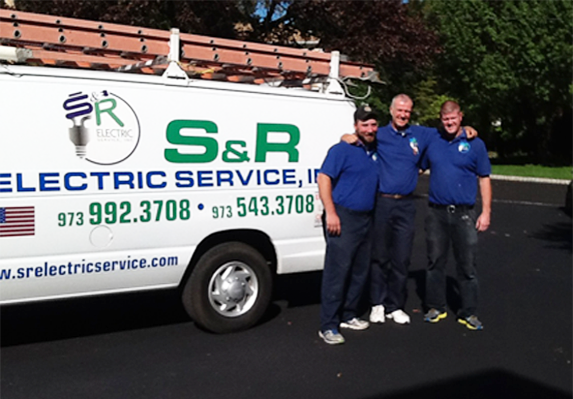 Through three generations and more than 50 years in business, family-owned and operated S & R Electrical Services LLC, has served our community consistently with responsiveness, reliability, and top-quality electrical services. Ninety percent of our work is in existing homes where the homeowner wants to upgrade, change or improve electrical service and lighting for safety, efficiency and ambience. No job is too small, too large or too technologically sophisticated for our experienced, skilled and knowledgeable electrical team. We're happy to evaluate your service and devise a solution that meets your needs and fits your budget. Whether you want to add a circuit, wire your entertainment center, automate your home or convert to LED lighting, S & R Electrical Services is the local electrical company to call. Our service area includes Western Essex County, Eastern Morris County and Northern Union County. For a free consultation about your electrical needs, call us at 973-992-3708.